Will Sid Miller Be Open and Honest about his financial actions? From the Dallas Morning News on Feb 1- J Allen Carnes did an audit of those stocks that Miller didn't report about to the Texas Ethics Commission (and which the TEC is now investigating) . Here's the audit, makes interesting reading. 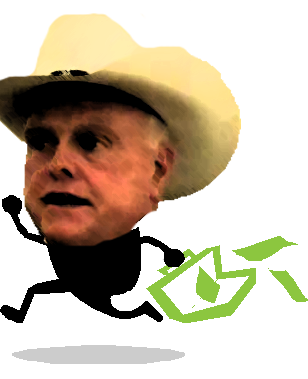 Sid Miller, candidate for Texas agriculture commissioner and former Stephenville representative, purchased stock using campaign donations and later transferred the stock to his personal account to repay personal loans. While we realize the following questions are uncomfortable, they are necessary in order for the citizens of Texas to know whether or not Mr. Miller is ethically equipped to act as their Commissioner of Agriculture. While these questions may be uncomfortable, they can easily be answered in that there has to be a paper trail and all Mr. Miller has to do is (to paraphrase a popular movie character) Show Us The Money. Given that campaign finances are a matter of public record and reports filed with the Texas Ethics Commission should, by law, reflect all financial transactions conducted by a campaign, Mr. Miller should have no objection to making bank statements and E-Trade statements from his previous campaign public. Doing so would go a long way in answering these questions.